the world's most versatile fully portable hunting stand platform. See more… atop the world's most versatile, completely collapsable, fully portable hunting stand platform. The Omega Lift base model MSRP $4594 plus shipping. 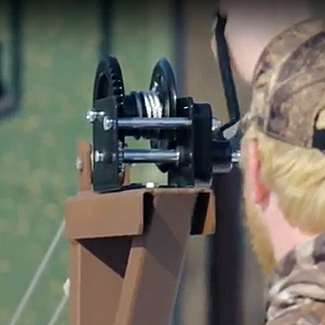 The world's most versatile, fully portable hunting stand platform. 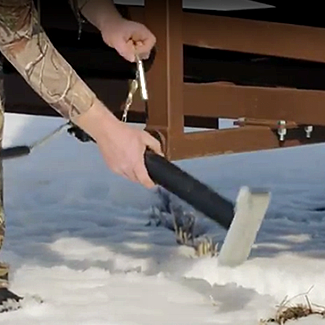 Four leveling jacks with 15 inches of travel provide superior stability on any terrain. 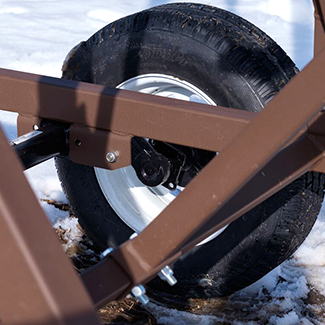 The standard brake winch is safe and easy for anyone to operate, beefy arms not required. 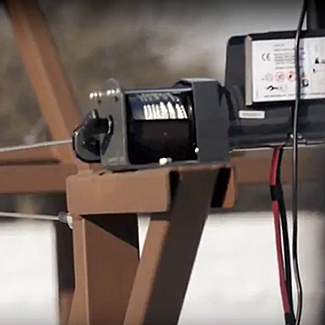 An optional battery-powered electric winch is also available for hands-free operation. The high-quality rubber torsion axel makes your tower suitable for transport at highway speeds. BECOME A DEALER: Fill out the form below or call 712-260-5444 for more information. Questions? Want to become a dealer? Just ask. Use the form below to request more information and a dealer will contact you shortly.